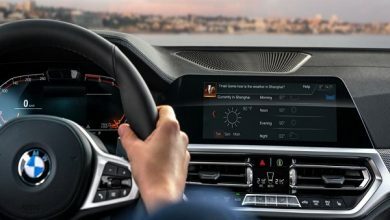 SoundHound, an audio and speech recognition company that develops voice-recognition, natural language understanding, sound-recognition and search technologies, recently unveiled its large vocabulary, hybrid voice and natural language understanding interface for in-vehicle infotainment systems at the NVIDIA GPU Technology Conference (GTC) 2019. The technology highlights the NVIDIA DRIVE intelligent experience platform and SoundHound Inc.’s Houndify voice AI platform to enable natural speech conversations with the car. Leveraging the patented Speech-to-Meaning and Deep Meaning Understanding technologies from SoundHound Inc.’s Houndify Voice AI platform, running on NVIDIA DRIVE IX, the solution claims to enable real-time responses to voice queries in vehicles, even without Internet connectivity as the hybrid speech recognition system processes voice requests both in the cloud and locally on the embedded system. NVIDIA DRIVE AGX integrates the compute of the NVIDIA Xavier™ system-on-a-chip (SoC) and full stack AV software to monitor surroundings and the driver, localize to an HD map, and plan a safe path forward. Within DRIVE software, NVIDIA DRIVE IX is a framework for the full cockpit experience. It combines the system, tools, and algorithms to enhance the driver’s situational awareness, assist in driving functions and provide intelligent interactions between the vehicle and its occupants. This is the ideal platform for integrating the voice technology that Houndify can provide, enabling the vehicle to seamlessly respond to human voice commands.